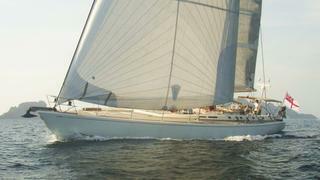 ASPIRATION’s stunning lines are by German Frers; she sports typical Nautor Swan “cruiser-racer” style with teak laid wedge decks. 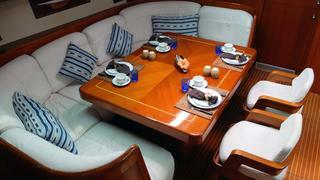 ASPIRATION has two cockpits – one aft-helm working cockpit and one large center cockpit with a dining table suitable for alfresco meals. 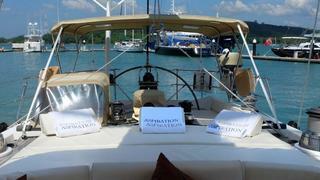 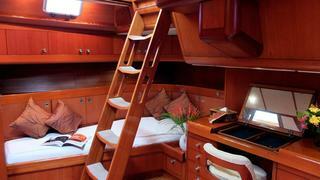 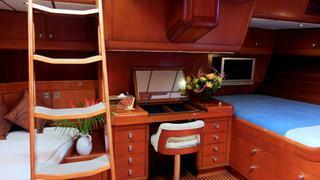 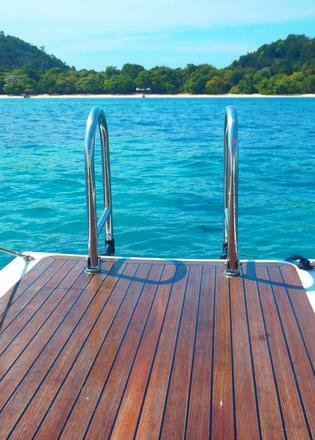 ASPIRATION has a classic-style interior in teak with satin finish. 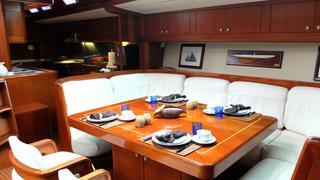 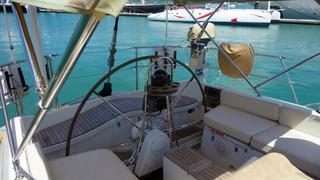 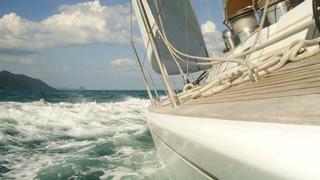 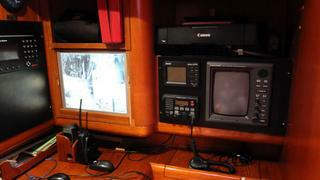 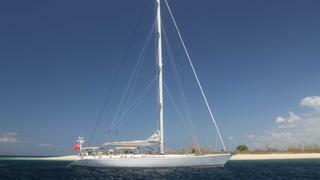 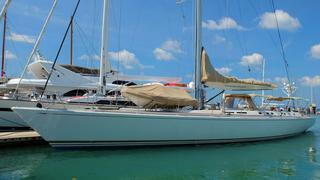 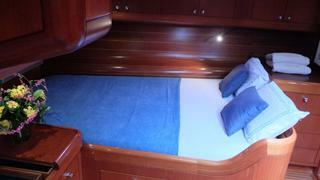 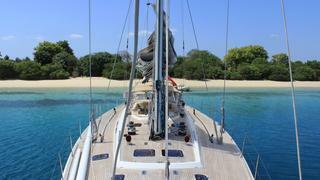 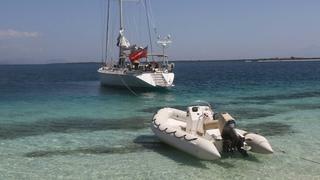 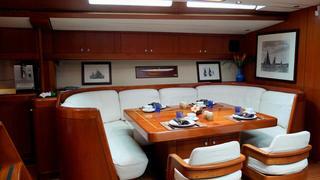 She is well suited to family use but also is excellent for entertaining guests, chartering or racing. 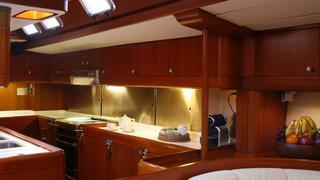 The amidships full width salon is impressive with intricate details.